Photo of the day: I FEEL PRETTY! I FEEL PRETTY! : This is Ms. Columbia, she is wearing her seasonal fall colors. Some would wear a cat on their hat, but she chooses to accessorize her hat with a gray parrot and a dyed-to-match poodle in her arms! Ms. Columbia has become a staple around New York and you never know where she and her true twosome will show up – any of our parades, Times Square, Greenwich Village or the ultra conservative Fifth Avenue just for shock value. With a heavy Columbian accent she will tell you she is the Spanish Lady Gaga and calls anyone who photographs her “my paparazzi.” She never asks for money as so many of our other ‘characters’ do, she does it for the sheer pleasure of it. For the Columbian Day parade she wears a dress made entirely from Columbian flags and of course dyes the poodle to match! 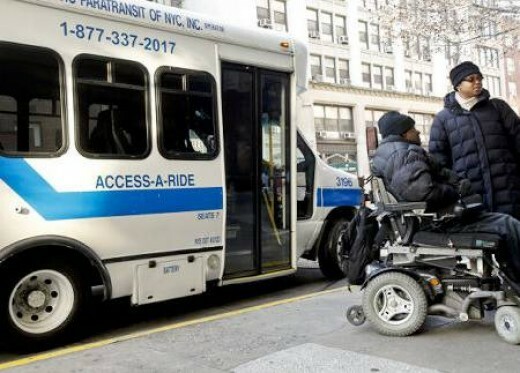 This entry was posted on September 21, 2012 by newyorkcityinthewitofaneye. 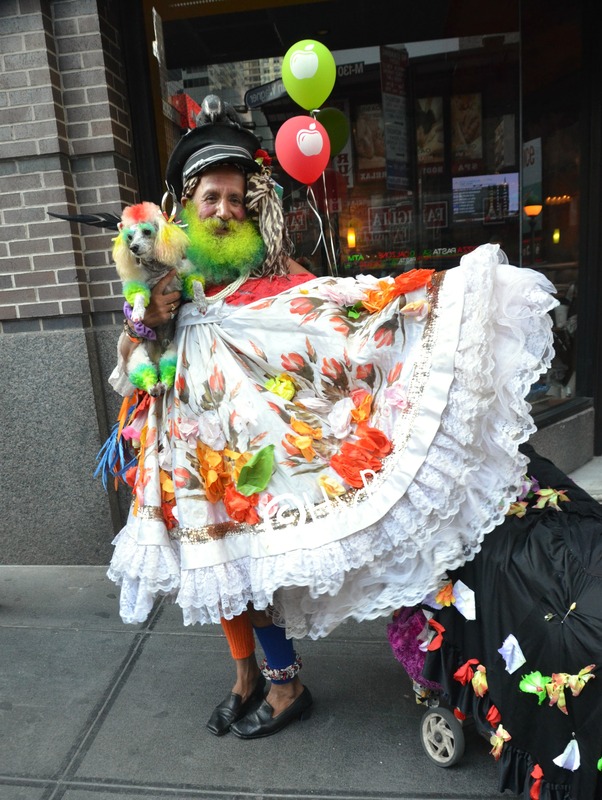 It was filed under DAILY PHOTOS WITH STORIES OF NEW YORK CITY and was tagged with Access-a-ride, drag queen, Hans Von Rittern, Manhattan, Miss Columbia, New York City, parrot, poodle. She’s a delight. Lovely smile and a gentle soul. Wish I could be that pretty.